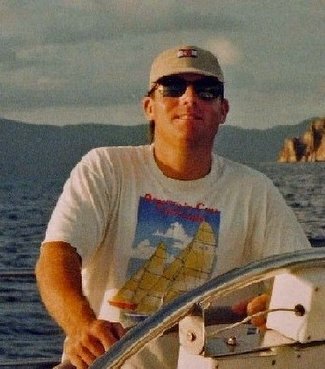 Continuing in the classic yacht vein - here is a story in the Daily Mail about the restoration of Bloodhound, a famous 63' Camper and Nicholson yacht built in 1936 for American Ike Bell, who won several important races in her, including the 1939 Fastnet race. 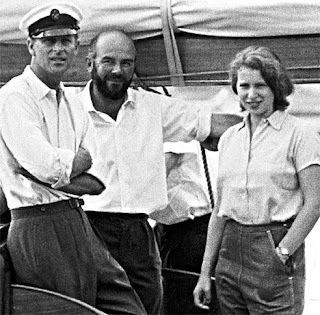 She became Prince Phillip's yacht in the 1960's (above photo Prince Philip and Princess Anne with a crew member aboard Bloodhound in 1964) and he campaigned her successfully for many years until selling her in 1969. According to the article the yacht is legendary in sailing circles because of her speed...and was the most successful in her class right up until the late 1960s because of the number of races she won. She's been restored to her former glamor and up on the block for roughly $3 million. God Bless the Queen!